“A diversity of thought, perspective and culture is important in any field, not just engineering. Surround yourself with people who support you and get involved in [coding] programs.” By Sarah Friar, Chief Financial Officer at Square. Communities in a wide variety of fields, all around the world, are increasingly making an effort to respect and incorporate the 50% of the population formerly left out. Women have started gaining recognition, more than ever before, for their contribution to society. A plethora of events have led us here, the unwavering zeal of women to prove themselves, creating opportunities out of nothing and changing mindsets. One of the primary reasons why such a change has come is the access to information thanks to the internet. Women can reach everything that they need to build themselves up anywhere at any time thanks to technology. 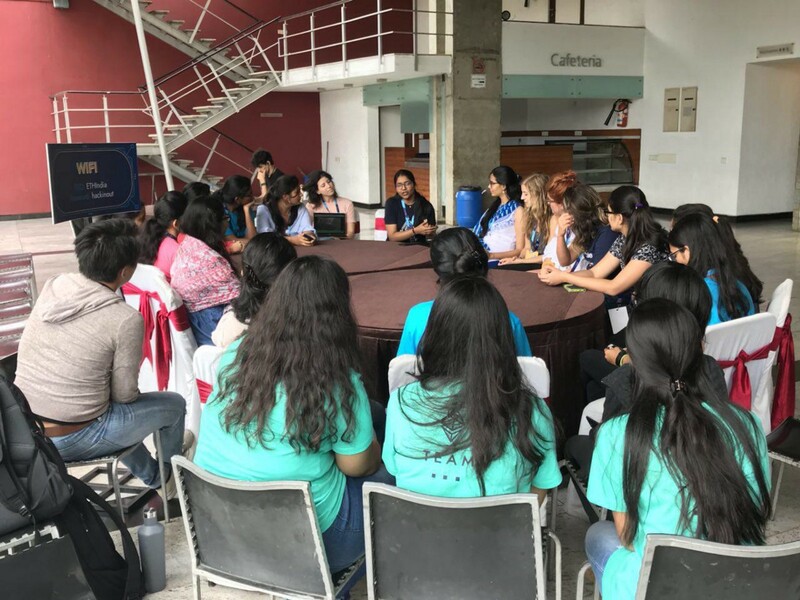 Global organizations have realized the contribution women make to advancements in technology and have begun valuing it by taking the initiative to embrace more women in technical roles. At ETHIndia we try and lead by example and recently had the opportunity to showcase this. 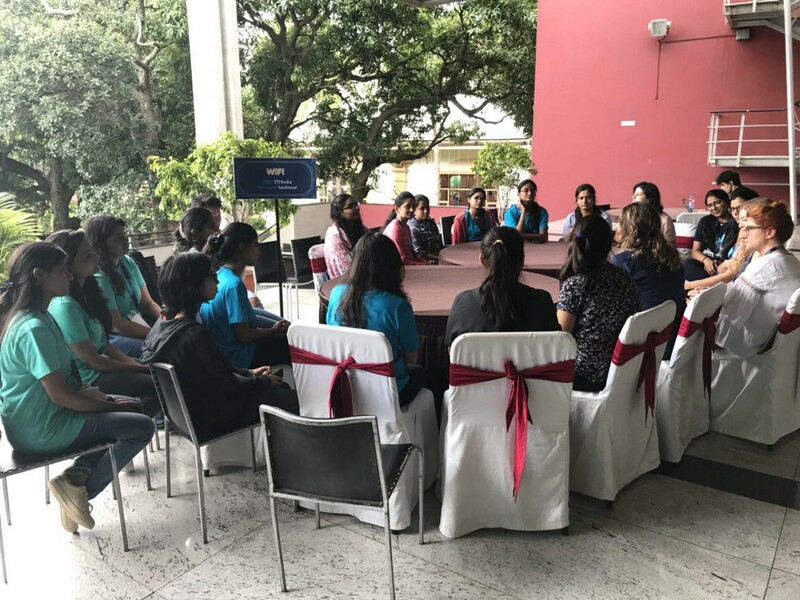 We invited women from all over the country, to Bangalore, to participate in the first ever Ethereum Hackathon in Asia. 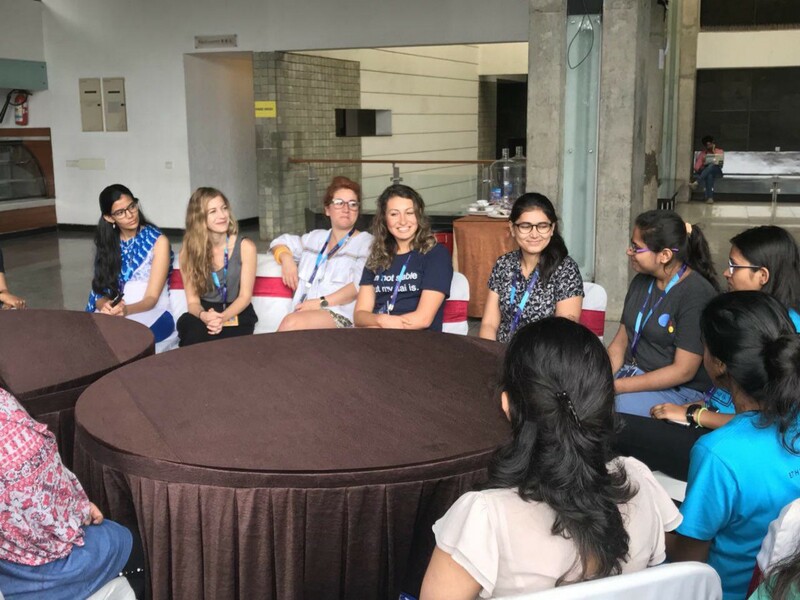 It was our mission to get women involved during the ETHIndia Hackathon event regardless if they had previous blockchain or technology experience. To encourage the involvement of women outreach programs were set in place around colleges in India to promote the event on the ground level. One such activity was held at NIT Surat, on 30th July. 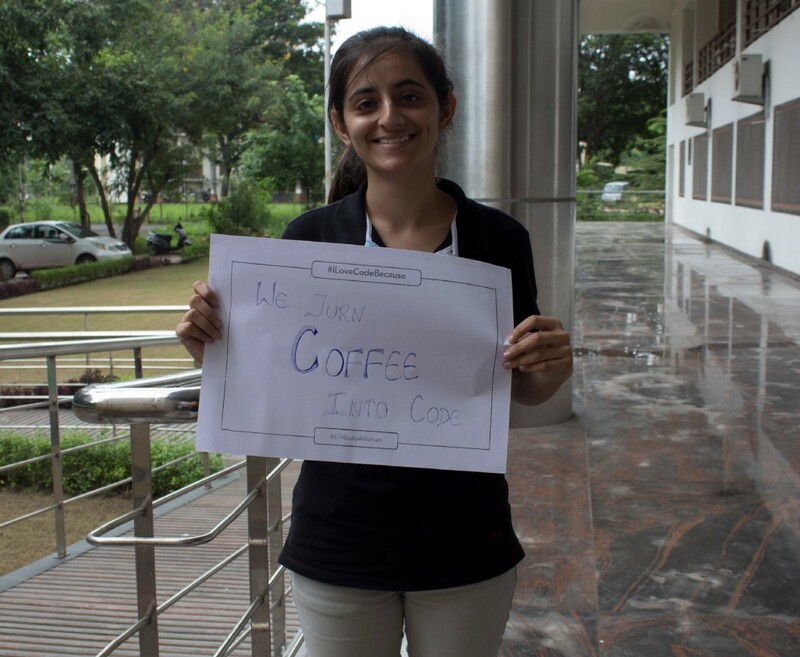 Girls were given placards which had questions as to how tech is an integral part of their life. This exercise helped their minds reflect while also expanding their knowledge. Next, in a lively interactive session, they shared information about the rising technology that is cryptocurrency and blockchain and how it is impacting the society around them. NuCypher, a data privacy layer for blockchain and #decentralized applications, recognized our initiative to eliminate gender disparity in India. 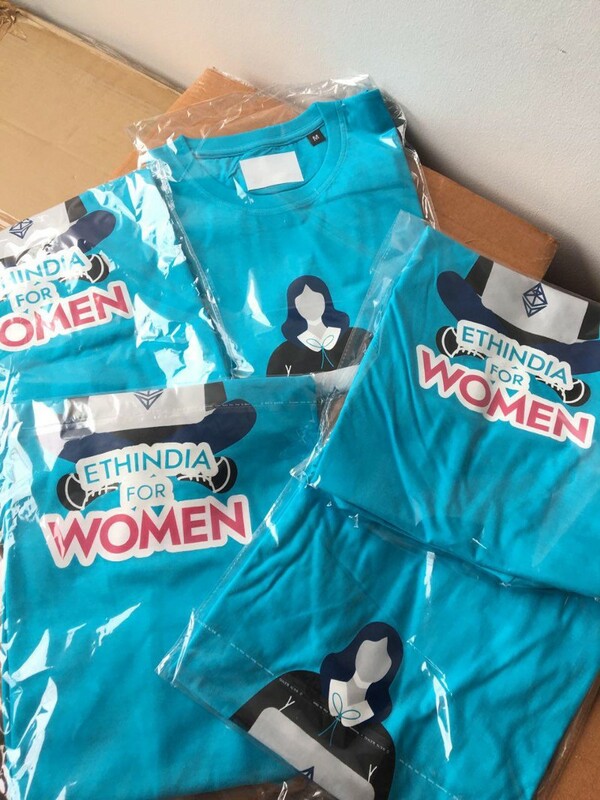 They sponsored our ETHIndia4women initiative and helped us in getting everything set up in time for all our women attendees. 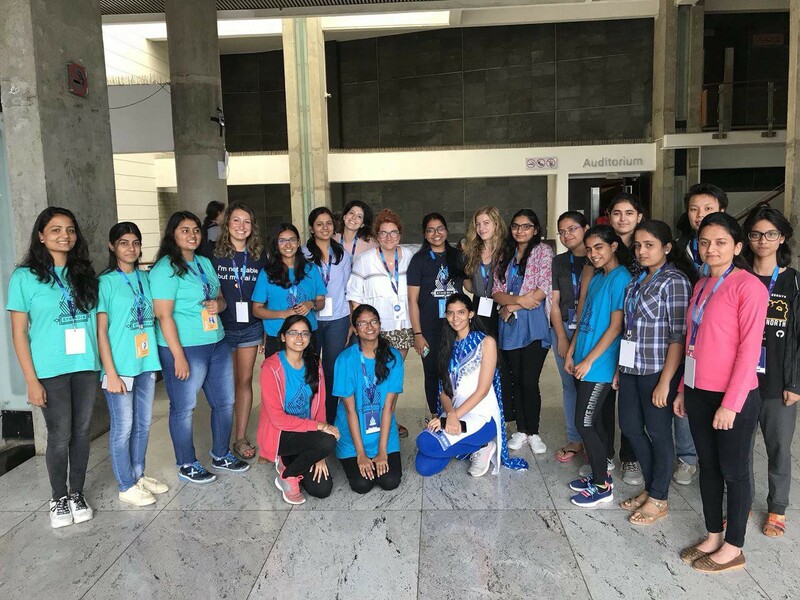 To our surprise, 22% female developers applied for ETHIndia and attended the hackathon. 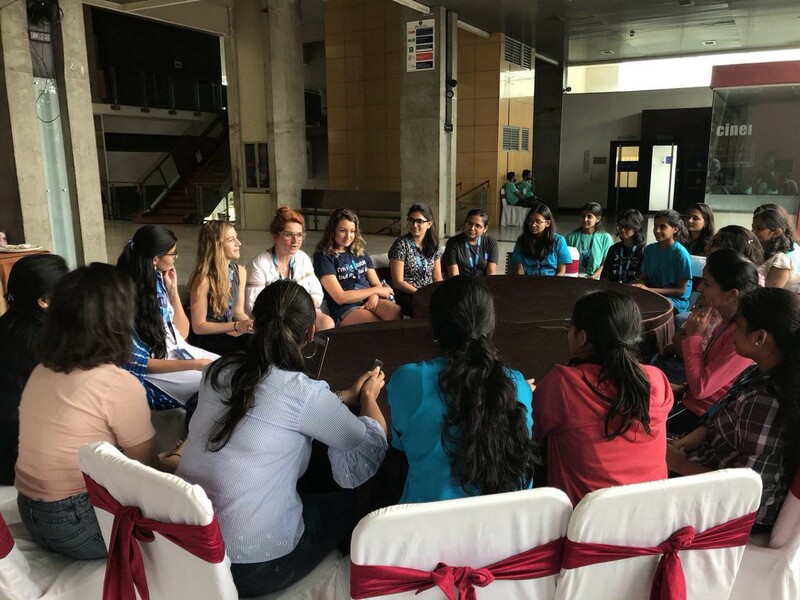 On 11th August, after the hackathon kicked off, we organized a casual chatting session with all women in blockchain to get each other’s insights and to share experiences. It started with the introduction of how everyone’s journey started off within blockchain. It was satisfying to know that a few women developers got introduced to blockchain from ETHIndia. When asked about the problems they face when it comes to attending such hackathons, the resounding answer from the group was secured travel and unbiased mentoring. This feedback is valuable to ensure future events can improve their structure to be more thoughtful about the problems women face in participating. At the end of the session, we distributed our special edition t-shirts as a reward for their participation. We announced that NuCypher was the ETHIndia4women sponsor who made these sessions possible. With new energy and fresh motivation, all women developers started working with their teams, on their respective projects. We thank NuCypher for providing the means. The NuCypher team was very energetic and enthusiastic throughout the event. From the time spent mentoring until the closing ceremony, there was no minute where Michael or Bogdan could be seen sitting idle. Continuous mentoring and guidance by them had been a reliable support system for the teams who #buidl using NuCypher. ETHIndia now is committed to remaining a neutral and unbiased platform; uniting all flag bearers of blockchain technology in India towards the common goal of advancing economic growth in the country.